Duggan, Madden, Webb, Maguire, Cahill, Robinson (Bradley '70), Rice, Cameron, O'Connor (Amond '84), Baker, Twigg (Purcell '78). Subs: Murphy, Price. 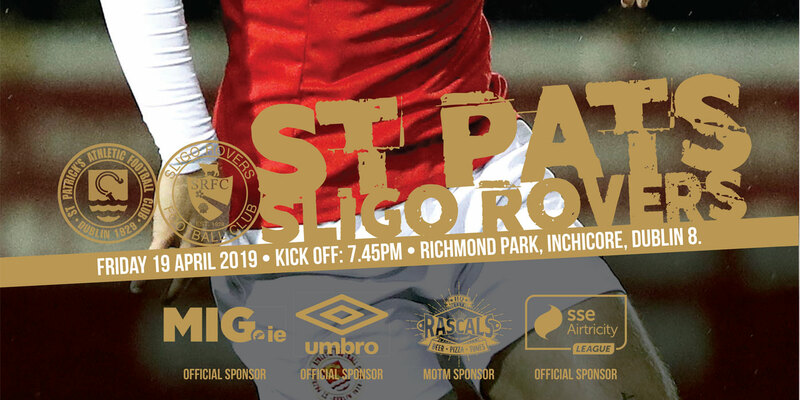 St Patrick's Athletic: Rogers, Maher, Gavin, Harris, Stevens, Guy, Lynch, Byrne, Ryan, Cawley (O'Connor '59), Quigley. Subs: Clarke, Haran, Moran, Partridge. 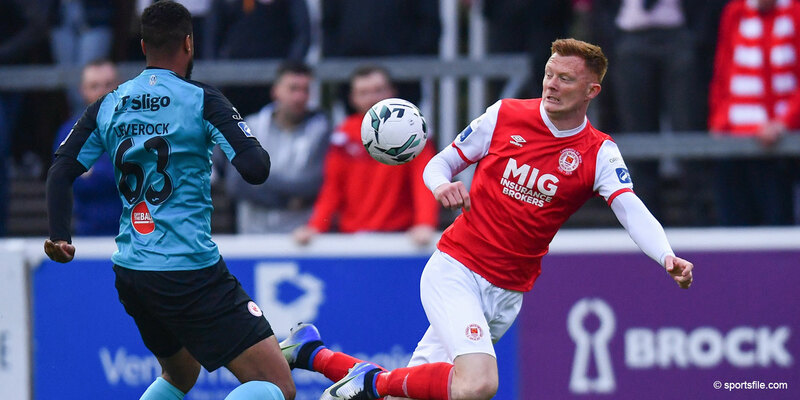 Two goals from in-form striker Gary Twigg gave Shamrock Rovers a 2-0 win over St Patrick's Athletic in this Dublin derby at Tallaght Stadium. Both sides wasted good chances in the first half and we had to wait until 50 minutes for the opening goal. Twigg volleyed home from six yards after a flick-on from Shane Robinson. Twigg then finished off the game in the 73rd minute. Dessie Baker found Twigg with a clever back heel in the box and the Scottish striker slide the ball beyond Gary Rogers. Twigg has now scored eight goals in nine games and if he stays fit and in form, Rovers will be a team to be reckoned with this season. Even when he has quiet games, such as this, he proved to be the match-winner. Rovers' six-game unbeaten run draws them level with Derry City in third place, but Pat's remain in mid-table. They are a model of inconsistency with five defeats and four wins from their nine games. Pat's had started the brighter of the two sides and Alan Cawley tested Robert Duggan as early as the third minute with a 25-yard free-kick. Rovers improved as half wore on, but the front two of Twigg and Baker were getting little change from Jason Gavin and Jamie Harris. It was the same story for Pat's, as Darragh Maguire and Sean Webb kept Mark Quigley in check. A quiet first half came to life just after the half hour with both sides wasting good chances to take the lead. Webb should have put the home side in front but could only head Sean O'Connor's corner into the side-netting from eight yards. On 37 minutes, Ryan Guy timed his run well to stay onside as he chased a header from Damian Lynch. His shot managed to beat the advancing Duggan but came back off the inside of the post. Quigley fired over after Guy picked him out from the rebound. Pat's were almost made to pay for such a miss as Twigg went close twice for Rovers. 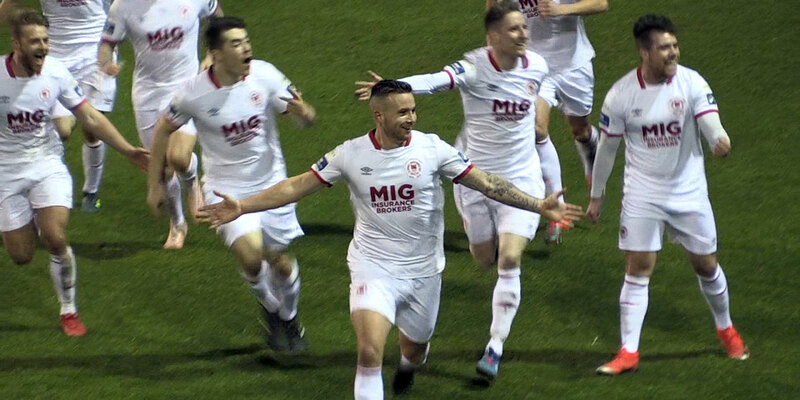 First, he cannoned a shot off the bar and then he dragged wide from ten yards as Pat's failed to clear a Baker free-kick. Rovers were positive after the break and deservedly went in front on 50 minutes. Rice and O'Connor worked a quick corner on the right, which allowed O'Connor pick out Robinson and his flick was volleyed home by Twigg. Pat's responded well to going behind and were almost level within six minutes as Quigley nodded Guy's looping cross onto the post, with Duggan helpless on the line. Guy was pushed up front on the hour after Cawley's withdrawal and it almost paid dividends soon after. Quigley exchanged a one-two with the American but he once again fired over. But the Pat's revival ended after 73 minutes with Twigg's second goal. Greg Cameron's pass found Baker whose back heel fell into Twigg's path and he held off Harris to slide the ball beyond Rogers. The visitors pressed to get back into the game but were denied by a combination of a poor final ball and resolute Rovers defending.